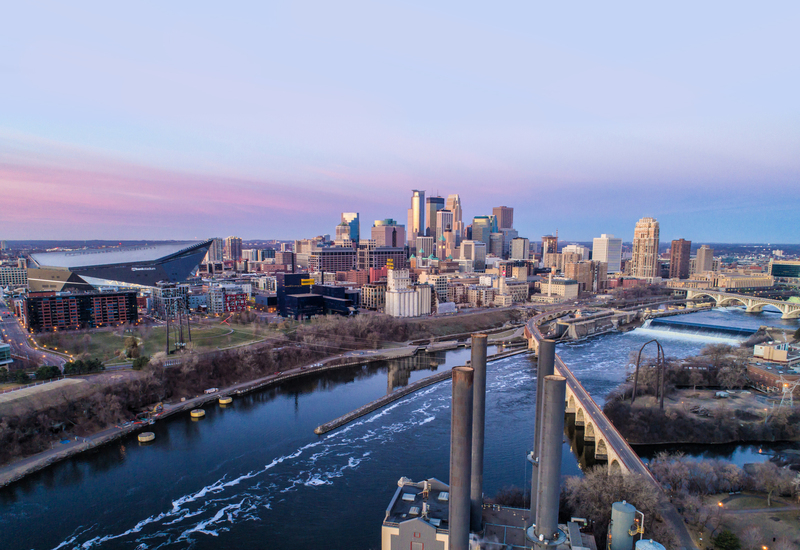 The Minneapolis Regional Chamber Development Foundation, a 501(c)(3) charitable organization, supports the work and mission of the chamber to improve our economy and quality of life. The Foundation supports the work and mission of the Minneapolis Regional Chamber to create a vibrant and equitable regional economy. The foundation focuses on programs that promote leadership development, corporate philanthropy and economic development initiatives. The vision of the foundation is to create a vibrant and successful region by developing business leader’s community leadership skills and civic-engagement; by facilitating community-wide conversations on issues that will directly impact our region’s future success; and by elevating and promoting corporate giving as a regional legacy. Programs of the MRC Development Foundation include Leadership Twin Cities, a nine-month community leadership program that informs people about immediate and future critical issues facing our region; and the Minnesota Keystone Program, which promotes corporate philanthropy be recognizing and honoring companies that donate at least two percent of their pre-tax earnings to the community. The Minnesota Keystone Program promotes corporate philanthropy by recognizing and honoring companies that donate at least 2% of their pre-tax earnings to charitable organizations. Qualifying companies have an operating presence in Minnesota and donate cash, in-kind donations, including pro-bono services, and/or employee paid volunteer time. Minnesota Keystone companies receive recognition on the Minnesota Keystone website and at an annual event. Minnesota Keystone has been operating consistently since 1976 and is a great reflection of Minnesota’s spirit of generosity and sense of community. Each year, Leadership Twin Cities takes a cohort of 50+ high potential individuals through a nine-month program of civic education and leadership skills development. The program’s mission is to identify, cultivate and inspire successive generations of community leaders, by examining critical issues and resources, to ensure the social, cultural and economic prosperity of the Minneapolis-Saint Paul region. For more than 40 years, Leadership Twin Cities has informed more than 2,000 civic leaders about the critical issues facing the region. Participants spend one day each month from September-May exploring topics such as economic development, education, arts and culture, community safety, health care and government. Bloomington Future Leaders provides scholarships and mentoring opportunities to students at Jefferson and Kennedy high schools in Bloomington, MN. Students in pre-business classes take part in two one-day business conferences, one in the fall and one in the winter, as well as have the chance to participate in mock interviews in the spring. Chamber volunteers provide students with insights about their fields and career choices, act as interviewers, and take part in scholarship application review and interview process. This program works in partnership with Bloomington ISD #271. Scholarships are awarded annually to students in the graduating class of the Edison High School Voyager Program. Students must have completed the required curriculum, demonstrated leadership skills and have plans for secondary education to qualify. This fund was established in 2016 by the Northeast Chamber board of directors in honor of the chamber’s late President & CEO Todd Klingel. Klingel was a champion of the Voyager program and believed in the potential of all its graduates. Through the Minneapolis Regional Chamber Development Foundation, the chamber engages in ongoing initiatives to create a qualified and diverse workforce; improve our transit network for easy access to jobs; and ensure that workers can find quality affordable housing options. Contact foundation@mplschamber.com for more information on specific programs, to allocate employer match funds, or with general inquiries.